This pet can be a secondary to every other pet in the zone accually, I've been hunting it as well as a Mac Frog, and Oasis Moth from everything in the zone. Easy to get a hold off. 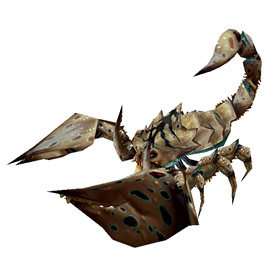 S/S breed with 325 speed is the fastes scorpion, can make good use of crouch. P/S breed has highest power while still pretty speedy. 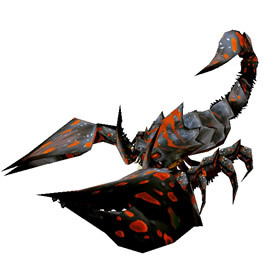 Problem with Scorpions is that they feel generic and a bit like a third class pets. No great power and pretty bland abilities. Screech for example feels like the alpha version of Primal Cry. 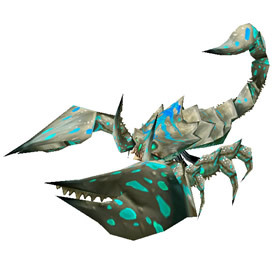 Not a bad pet as such but will never be top tier, you will have to work a bit more for your wins. After 2+ hours farming for a rare I finally got one as secondary to a gray leopard scorpid with a green sidewinder in the last slot. Checked everywhere that was mentioned in comments below. Finally found it just west of Gate of Unending Cycles. 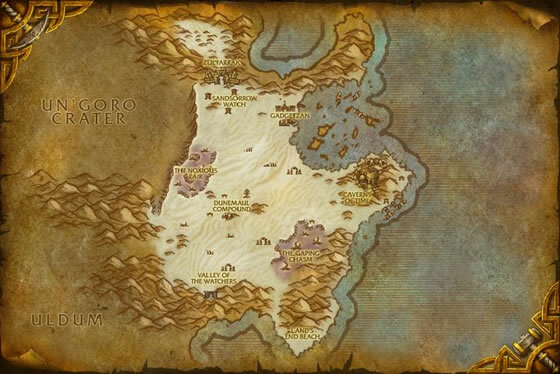 60.67, 20.51 During this time I had every possible Uldum pet come as a rare, most of them numerous times. Even a twofer with a sidewinder in front and a mac frog last. Honestly was beginning to think rare leopard scorpids were a myth. Got mine (a rare, first try!) 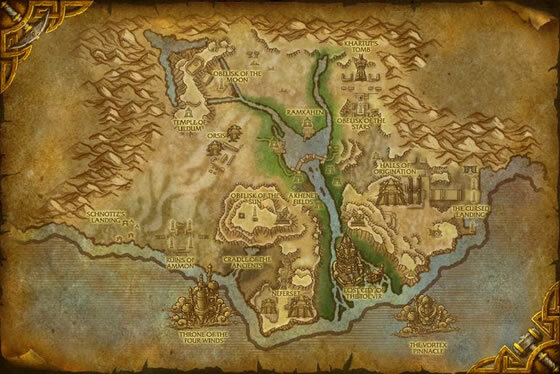 down behind the Lost City of Tol'vir attached to a Locust. Found my rare of a Locust, so they do come from those aswell. These seem to be changing colour every time you summon them. So far mine has appeared with all the colours except the white one with blue spots. I don't know if this is just the rare quality ones that does it, might be, since my poor quality one never seems to change colour. Found 4 spawns of this mob at 32, 57 (noth of ruins of Ammon) as the leader of the pack. 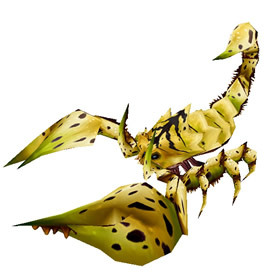 If you are lookingfor the Leopard Scorpid, I did NOT find any from any Dung Beetle, Mac Frog and Locust pets that were by that name as first pet. PS came across 2 sets of Dung Beetle with TWO RARE Dung Beetles with each battle around 33, 40 in case you were looking for some. Finally found a rare with a sidewinder first pet and Leopard Scorpid as a add at 38, 8 top of zone to the west close to Obelisk of the Moon. Loves to rest inside footwear of unsuspecting travelers during the night.